Distracted and negligent motorists injure far too many pedestrians each year. Pedestrian accidents occur at crosswalks, on residential streets, in parking lots, parking ramps and other areas. At The Law Offices of Suizi Lin, we provide attentive, knowledgeable legal help to people injured in pedestrian accidents. Our attorneys are dedicated to protecting your rights and seeking fair compensation for your losses. 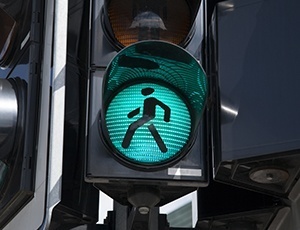 We have extensive experience navigating the legal complexities of pedestrian accidents and can readily investigate the factors that lead to the accident. We can determine how the accident occurred and who is responsible. In some pedestrian accidents, a negligent motorist is liable. In others, a defective or hazardous road condition may have caused the accident. In whatever way you were injured, The Law Offices of Suizi Lin is dedicated resolving your claim in your favor. Our firm provides skilled and personalized legal help to victims of pedestrian accidents. We handle all interactions with the insurance companies. We vigorously seek fair compensation for your injuries, medical bills, lost wages and other losses. If you or a loved one was injured in a pedestrian accident, or was injured in a hit and run accident as a pedestrian, talk to one of our personal injury lawyers. The Law Offices of Suizi Lin can be reached at (510) 689-1988. Or, you can contact us online to schedule your free initial consultation.